Making ends meet during these tough economic times can be … well … tough! For me, nothing is more annoying than watching my monthly utilities spike upward during even the worst economic times. Then, adding insult to injury, it seems government just can’t be happy without dipping even further into my bank account to fund some sort of new legislation, resulting in higher taxes. To help offset the constant siphoning of my hard-earned money, I have no reservations about clipping out a coupon to save a dollar on cottage cheese or driving an extra block or two to save a few cents per gallon of gasoline. When I eat out, I refuse to have a Coke with my burger. I drink water instead. It’s free (and it’s much healthier). It makes me feel good that I’m saving a little here and there to defray my overall monthly expenses. But in the end, those measures only help a little. It’s the big monthly “siphons” of my hard-earned money that really get me riled. I mentioned utilities. Next to a house payment, your monthly gas and electrical bills can be among your biggest constant monthly expenses. They come to us rain or shine. Monthly. You either pay them or you’re cut off. But rest assured. They. Will. Come. Every month. Let me share something I learned several years ago regarding my gas and electric bill. I live in a cold climate in a remodeled 2000 square foot rambler with a full basement. I have two furnaces to heat 5 bedrooms, an office, two living rooms and one family-kitchen great room. During our first 6 years, after the remodeling, we controlled both furnaces thermostatically to keep the whole house warm and cozy. Think about it. Conceptually, most central furnace systems are designed to heat every room simultaneously, with no regard for room occupancy during the heating cycle. Then how is it possible to heat only one room at a time? The answer is – drum roll please … GET A ROOM HEATER! That’s right, turn your furnace down or off and use a room heater to only heat the room you’re in. Sounds too simple, right? Yet true. 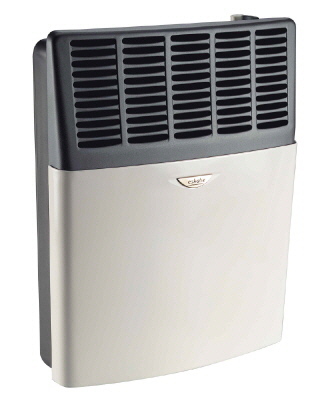 All you need is an electric space heater, vent free gas heater, or even direct vent fireplace. I call them zone heaters. By operating a zone heater or fireplace solely, you’ll be surprised how well you can heat fairly large living rooms and even connected spaces. No more heat wasted through duct work into unoccupied areas. In my case, I’m able to heat my entire upstairs living space just by operating my 25,000 BTU direct vent fireplace. I run it for long stretches on the coldest days, and for shorter periods on milder days. A ceiling paddle fan helps move the heated air off the ceiling and spread it around evenly. In my basement, I use a liquid filled thermostatically controlled electric heater. I bought it at Home Depot for under $50.00. You’ll find them on store shelves in early Fall. 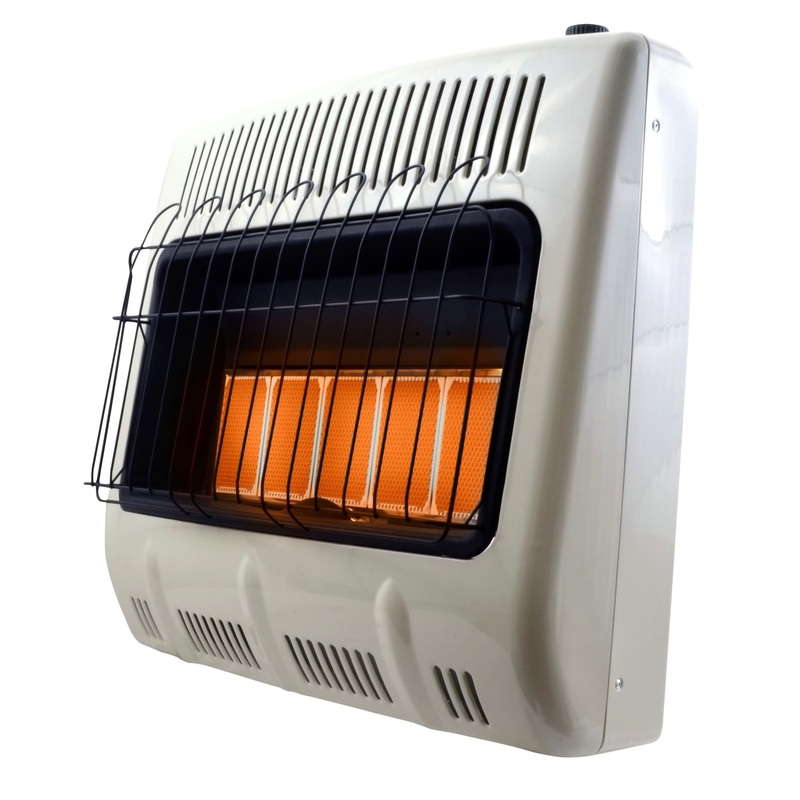 Also available are 99.9% efficient vent free gas heaters and direct vent wall heaters from various online web sites. 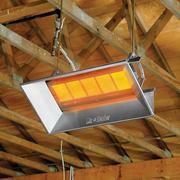 How can a zone heater or fireplace in one room provide enough heat to warm adjacent room spaces? The first law of thermal dynamics is that heat seeks cold. In other words, the heat source (heater) continually attacks cold spots in the home until those areas become warm or until the thermostat is satisfied. In most cases, it only takes about 10,000 BTU’s to heat 500 square feet of living space, depending on ceiling height and how well the space is insulated. Now here’s the best news of all. Zone heating this way can reduce your over-all heating bill by as much as 50% or more! Do the simple math. I did. Our monthly fuel bill went from well over $200.00 to about $60.00 per month. And that’s just on gas. We were also able to slash our electric bill by not running the central furnaces as much. We estimate we’re saving $140.00 per month in heating costs. Over any given winter, that’s at least $700 saved by not running the furnaces continually like we did years ago. If homeowners can expect those kinds of savings, think how much money business owners cans save by applying the same principles in their own facilities. The key is to heat tactically and not waste heat in empty spaces.